Apparently I’m on some sort of a kick. It must have been my recent trip to our local Asian market that inspired the recent recipes. First, it was the Tricolor Thai Salad with Zucchini & Yellow Squash. Then came the Chinese Noodles with Chicken, Bok Choy & Hoisin Sauce. 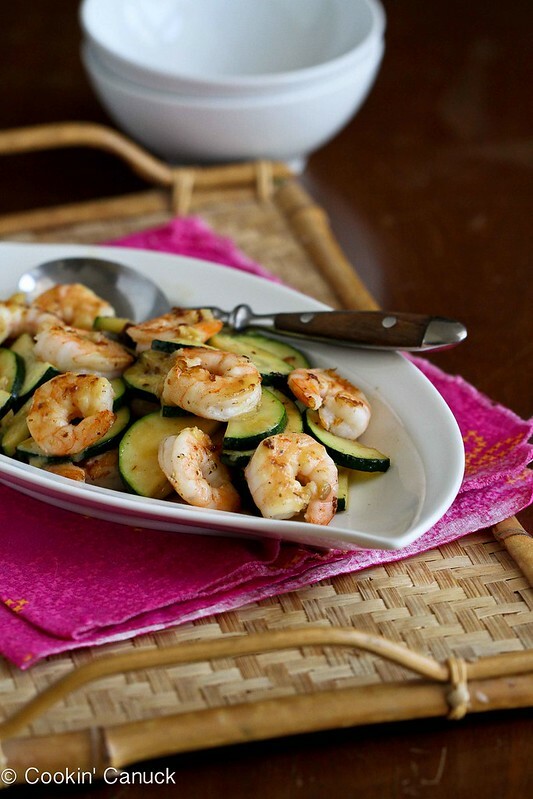 And now I’m diving into the miso paste with this shrimp and zucchini stir-fry.
. Okay, I realize that’s not the “doctor recommended” way to look at things, but so far my blood pressure’s not rebelling. As with most stir-fries, this easy dinner recipe comes together quickly. 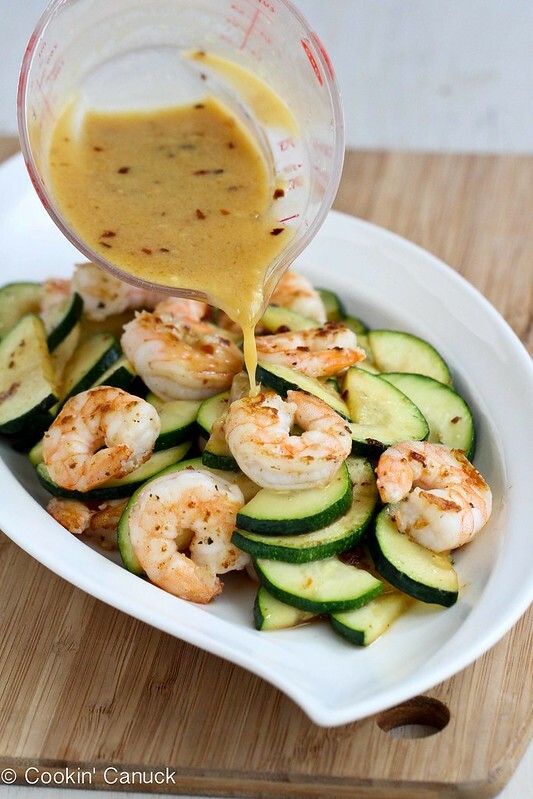 Simmer the sauce while you peel the shrimp and slice the zucchini, which will each take you mere minutes to cook. I only used two-thirds of the sauce for the stir-fry and poured the rest over mounds of brown rice. 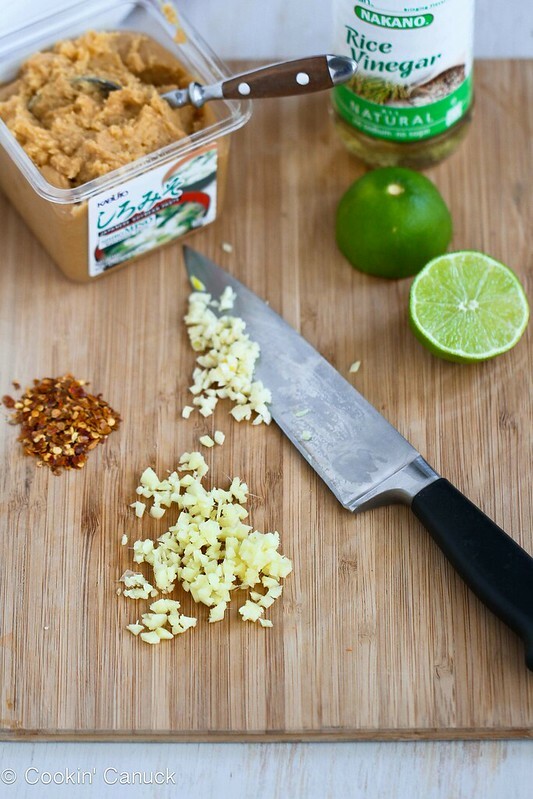 The miso, which can be found in the produce section of many supermarkets, adds a salty, rich taste to the sauce and balances well with the lime and orange juices. And don’t forget to use fresh ginger in the sauce. A potent hit of the savory root makes all the difference in the world. set over high heat. Add the shrimp and cook, without stirring, until just cooked through, 1 minute per side. Remove the shrimp from the pan and set aside. I’m on the same kick! And I like it!! YUM!!! I still have yet to try miso! I know, this is crazy. Especially since this stir fry looks so good! I need to try and find it somewhere soon. Then I need to make this delicious looking meal! I wish my husband would get into eating stuff like this for dinner. He’d tell me he didn’t get enough. I need to change that! Looks wonderful. 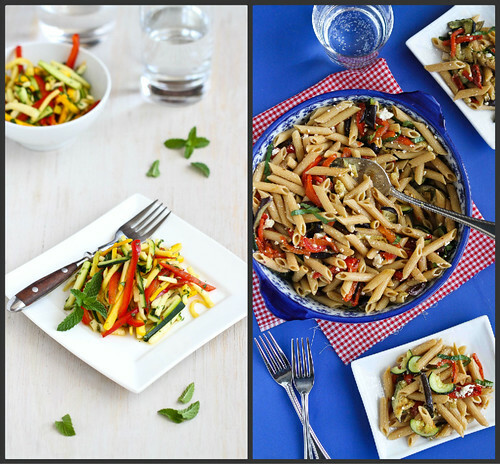 Love this light, lemony summer meal! Looks delicious! There’s always so many awesome ingredients at Asian markets, especially the fresh fish in some of them and great prices too! Fantastic dish Dara! I would love to cook in your kitchen sometime! I never make enough Asian dishes because in my crazy mind, I think they are to hard. This stir-fry looks amazing! So this is too funny! I’ve been sitting at my desk trying to think of what to make for dinner tonight with the shrimp and zucchini we have in the fridge! And then I see this! It’s fate. I’ll let you know how it turns out! Oh how I’m loving this stir-fry recipe, Dara! I love sauteed/stir-fried zucchini. It’s one of my favorite foodie joys in life. This miso sauce looks great, too. I love the earthy, deep flavor of miso. I love shrimp stir-fry and that miso lime sauce sounds incredible! Love this! It’s the perfect summer meal. 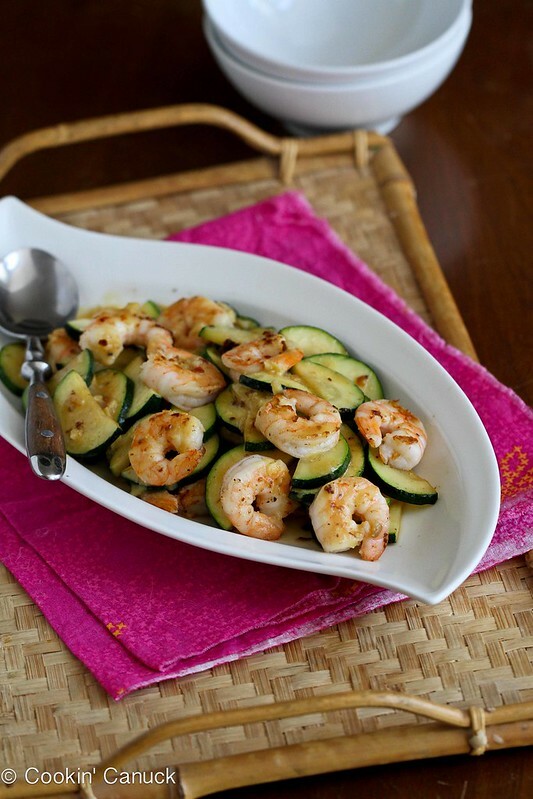 My son especially would love this dish, as he’s a big shrimp fan (his first meal of the Summer of Kids Learning to Cook was grilled shrimp) but both kids really like Asian flavors–so perhaps this will encourage them to eat zucchini! I tried it as soon as I could…It’s delish!! Oh, this looks so delicious 🙂 the miso lime sauce sounds fantastic!! Do you use miso powder? Wow! This looks fantastic! Thanks for the carb count, too…..I can definitely do this one! Not sure if someone else mentioned it but you might wanna try Bragg’s Amino to satisfy your salty taste buds. It’s actually healthy and known to lower blood pressure. I don’t always comment on food blogs but when I do it’s because I tried the recipe and it was incredible! Definitely making this again, thanks for sharing! I don’t always comment on food blogs but when I do it’s because I tried the recipe and it was incredible!